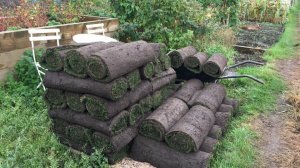 Duston has its very own community allotment – Grow Together Allotment is on the Berrywood Road allotment site and is managed by the Duston Youth Club in collaboration with Voluntary Impact's School for Life and Age UK. The aim is to develop the allotment into a community facility for all ages encouraging young and old to work together. 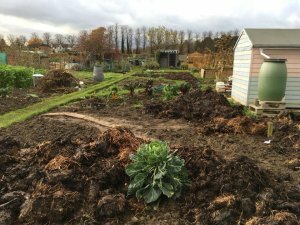 We took possession of the allotment on 1st April 2016 and in just a few months the space has been transformed. Local business Travis Perkins has not only donated materials, including a shed, but has spent time volunteering to help get the allotment in working order. On the 1st June Stuart Linnell from Radio Northampton came out to interview volunteers young and old. 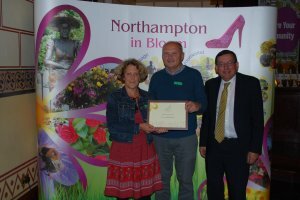 We celebrated with a grand opening on the 16th June marking the occasion by planting a fruit tree kindly donated by Golby's and creating a herb garden with herbs given to us by Perkins Florist. In October 2016 we secured the extra 3 poles that join the allotment. This makes our plot 10 poles which is the standard for an allotment. 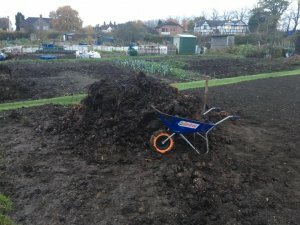 We hold volunteering days on the allotment every month. 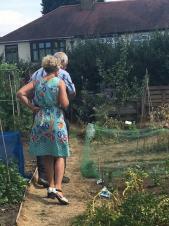 If you would like to offer a little of your time to help maintain the allotment please contact Jenny at the Parish Office. You may like to follow the allotments progress via our twitter or Facebook page at The Grow Together Allotment. Why not get stuck in! 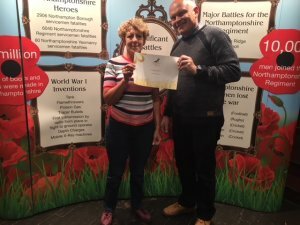 Well done Jenny and the volunteers! Times given for allotment volunteering days vary. You can go for some or all of the time.